B U B B L E G A R M: Decorating - before and after! Decorating - before and after! We moved into our flat in June last year and here's the progress so far.. I took the before photos the very first day! There are still plenty of unfinished projects, the main one being the kitchen tiles on the wall, and the bathroom. I still have so many odd jobs but am really pleased with the progress so far. I love looking at the before pictures, it just goes to show with a little imagination and hard work you can make a cozy home. wow it looks so gorgeous! Aww, Bubblegarm, I could not avoid smiling at the pictures of your flat!! I feel happy to see how you have turned the place into a cosy and comfortable home, with your personal touch behind every little detail. The lights are really cool! Something different. Thanks for sharing. It looks gorgeous. Love the make-over! Love your living room and bedroom, gorgeous! absolutely gorgeous!! love how your revamped an old space & saw the potential! amazing! FANTASTIC JOB! love the light and airiness :). my family's moving into a new house this month. it's new so we don't have much to do but i'm still excited to decorate! Wow, this looks amazing! come on right over to my house and "DO" it! You really have a talent for this! The lamps on the ceiling from both the sitting room and the hallway I must know where you got them! Love Love them!!!! You decoration skills are amazing! SO BEAUTIFUL! Bello, precioso! Omg muhsine you really did a good job here its amazing mashallah i luv it this is truely inspiring! Wow, what amazing improvements! I love what you've done, very chic and clean-yet organic and livable. Just perfect! Wow! Can you come decorate my house? I love your design sense! OMG that's all I can say it's amazing you are incredible. I am truly in love with everything. GREAT JOB!!!! beautiful job love! looks so good! You have a beautiful home! 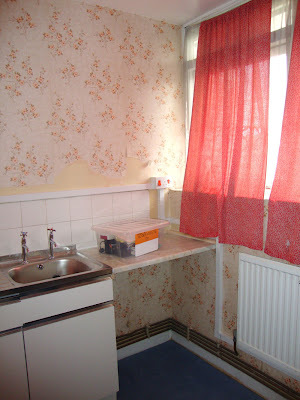 It looks great, wallpaper in everyroom was ok 20 years ago, glad u cleared it all up. The wooden floor is defenelty a must, and don't get me started on that georgous white coutch (although it'll be hard when kids arrive). The cost of labour & material in the UK is crazy, but with bright costs savings ideas a little can go a long way... I was hoping to see peanut! I miss his pictures. It certainly looks very cozy and filled with love you have for your home. You did a wonderful job! wow! you have done a great job! The place looks really stylish, fresh and airy! Love it! Oh wow it all looks amazing, but my fav is your living room - dreamy! wow you did a great job, you really are talented! That looks gorgeous! How long did all that take? that looks very nice =D great work! me ha gustado mucho este post!!! Wow! Extremely impressive! You've done an excellent job! @Zaira The one in the sitting room is from 'laura ashley' and the one in the hallway is from argos. aah that looks great, what a difference! When can you fly over to New York and re-do my place? WOW!! I need to consult you for decorating and remodeling tips when I move!! GREAT JOB!! It looks amazing and I LOVE your taste and color palettes! Thanks so much for sharing this. It looks amazing. You have great taste!! !